Going into the event, O’Dowd, who had previously been a four time runner-up, had a strategy of staying ahead of his championship rival Stephen Oxley. And that’s exactly what the Maximum Motorsport driver did, maintaining a consistent pace to finish the event second behind Dylan King at the Experts Cup. “It was a pretty simple plan,” West Australian O’Dowd commented after the event. “We had a good points lead over Steve going into this round, but we really needed to make sure we finished in front of him. Dylan (King) set some pretty quick stage times today, but I wasn’t too interested in fighting him for the lead. For me, today was all about winning the championship. The job was made a little easier for O’Dowd, when Oxley lost his brakes on stage three and with it any chance of fighting for the title. In fact, O’Dowd did a great job over the course of the rally, with only one stage time out of the top three. “My co-driver Toni Feaver was great today, as she has been during the three rounds I’ve teamed with her. I’ve been really lucky to have great co-drivers all year; Tom Wilde for the Karri and Forest rallies, and Toni for Boddington, Kirup and now the Experts Cup. And, of course, the Maximum Motorsport boys have been fantastic this year. 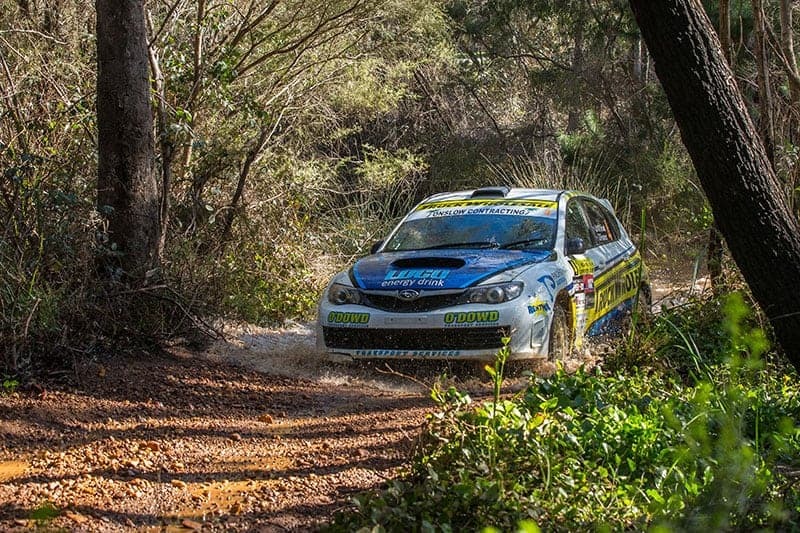 O’Dowd now has his sights on Rally Australia in November. “We’ve still got some work to do, in terms of sponsorship and funding. But I’m really determined to go back for Rally Australia. Last year I not only won the ARC2 championship there, I also finished on the podium for the ARC.